"Fluxus began in the 1950s as a loose, international community of artists, architects, composers and designers. By the 1960s, Fluxus has become a laboratory of ideas and an arena for artistic exprmentation in Europe, Asia and the United States. 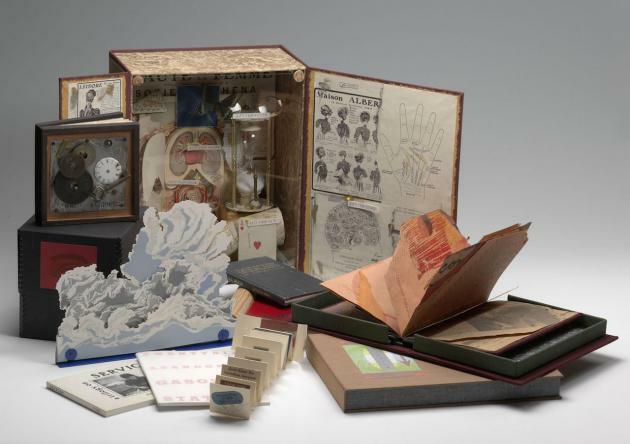 Described as 'the most radical and experimental art movement of the 1960s', Fluxus challenged conventional thinking on art and culture for over four decades. It had a central role in the birth of such key contemporary art forms as concept art, installation, performance art, intermedia and video. Despite this influence, the scope and scale of this unique phenomenon have made it difficult to explain Fluxus in normative historical and critical terms. The Fluxus Reader offers the first comprehensive overview on this challenging and controversial group. 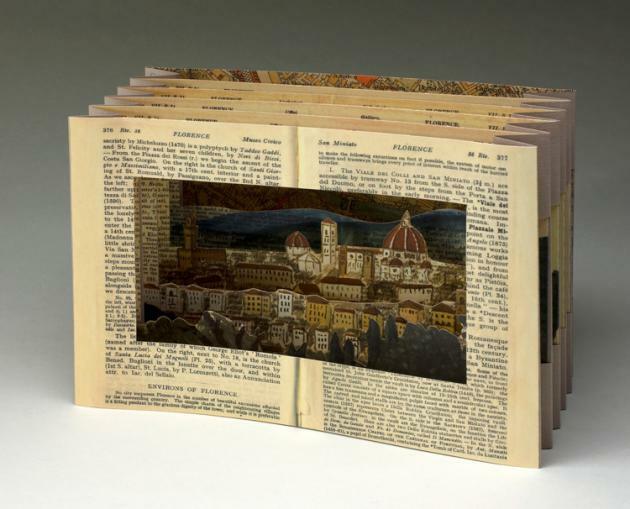 The Fluxus Reader is written by leading scholars and experts from Europe and the United States." Fig.1 Robert Watts (1965). 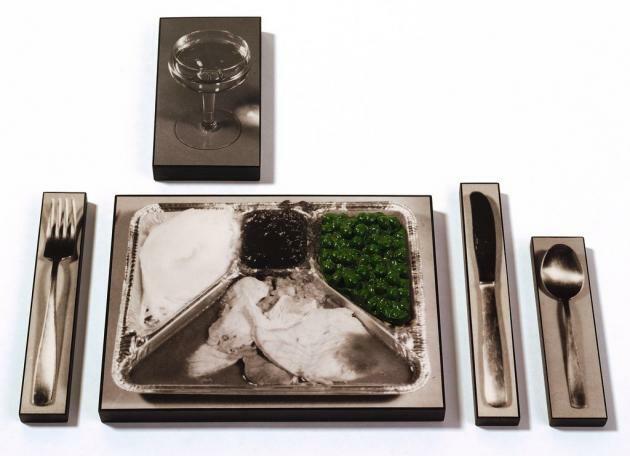 'TV Dinner' from the exhibition Art in Our Time: 1950 to the Present, Walker Art Center, Minneapolis, September 5, 1999 to September 2, 2001. 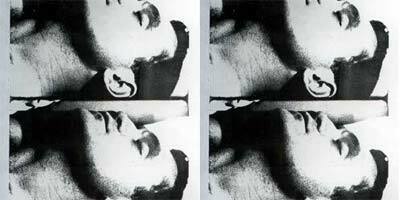 Rather than completely destroying narrative, the avant–garde has had a variety of different approaches, from Godard's gestures of "counter cinema"4 through the feminist perspectives of Constance Penley5 to the various forms of Dada hostility. It is into this reconsideration of narrative that the recent "structural–materialist" films of the ?50s and ?60s fit. They operate in an arena of the "independent" and harbour a concern with the connection of an avant–garde cinema with similar gestures in other areas of the arts. In the case of William Burroughs, the cut–up technique is an extension of a literary concept, and in the case of the New York–based Fluxus group, cinema represents extensions of "concept art." Throughout this history of alternative cinema there is evident this spirit of extension and collaboration, from Surrealism and Dada, which also began as literary endeavours, through to the Fluxus group and the French Situationists who work throughout various mediums in the spirit of "expanded arts.
. Wollen, Peter. "Counter cinema: vent d?est, " Afterimage #4, 1972.
. Penley, Constance. "The Avant–garde and Its Imaginary. " An expanded version of a paper presented during the avant–garde event at the Edinburgh Film Festival, August 1970, from Camera Obscura.